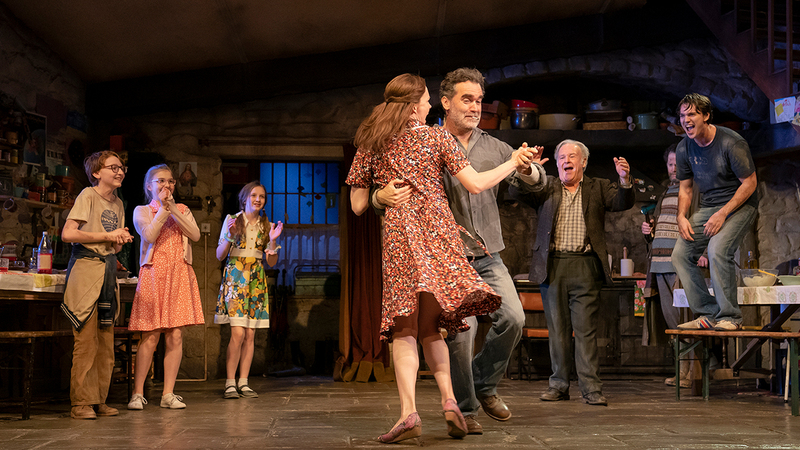 When an actor with two decades of Broadway credits calls his current production “the best play I have ever seen or been in,” savvy theatergoers should take note — and head to the Bernard B. Jacobs Theatre to experience The Ferryman. Hailed by critics as a modern masterpiece, Jez Butterworth’s family drama, set in rural Northern Ireland on Harvest Day 1981, offers an irresistible combination of romance, humor, intrigue, and plenty of surprises. 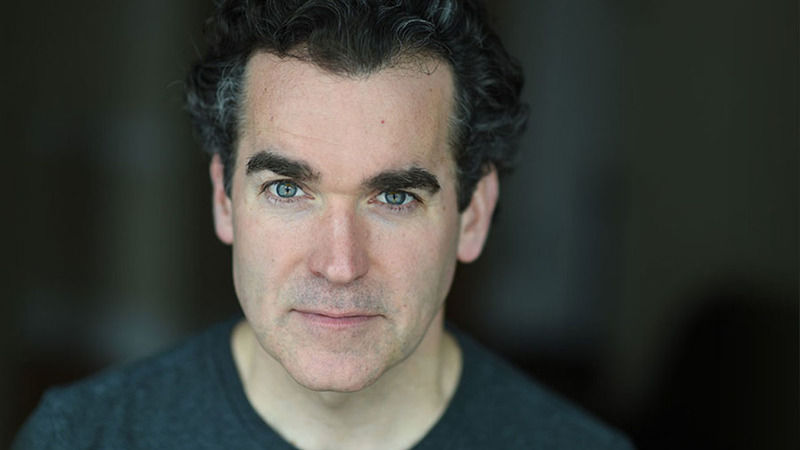 The cast of 21 (plus a live baby, a goose, and a bunny) is led by three-time Tony Award nominee Brian d’Arcy James as patriarch Quinn Carney. Over the course of three riveting hours, audiences watch Quinn and his extended family deal with a shocking revelation about his long-missing younger brother, prompting an outpouring of hidden feelings and family secrets. “It’s the most extraordinary story, something you’ve never seen before,” says d’Arcy James, who is back on Broadway for the first time in almost two years after venturing into movies (Spotlight, First Man, Molly’s Game) and television (13 Reasons Why, Smash). He recently spoke with Broadway Direct about the thrill of starring in this acclaimed new play. Let’s start with a broad question: What do you love about The Ferryman? I love the fact that it’s epic and yet universal. Essentially, the play is a story about the desire to connect, told through the filter of a bustling, vibrant family beautifully rendered by Jez Butterworth. You have all these people colliding in a small farmhouse in Northern Ireland, disrupted by the politics of the time. It’s a great combination of the personal and political. And it’s a thriller! Every person who sees it will find something to respond to. There are so many layers and themes in the play. Which ones do you relate to most? The first thing that comes to mind is honor — trying to preserve dignity in the face of grief and to honor the legacy of a family. As a father myself, I gravitate to the idea of protecting the family name in spite of past actions that might affect it. And then, of course, there’s the love story, which is the good old-fashioned beating heart of the play. Quinn’s relationship with his sister-in-law and how they navigate the loss of his brother is very interesting to me, as well as his relationship with his wife. It’s a complex and compelling love story that’s both dramatic and satisfying. What’s it like to share the stage with 20 other people, including kids, animals, and a baby? It’s a lot of fun. When the play is chugging along, there’s such a beautiful rhythm to it. It’s like an orchestra of characters playing their notes at exactly the right time because of Jez’s writing and Sam Mendes’s remarkable direction. In that sense, it’s wonderful to know that you are contributing to this big symphonic sound. And the live-wire nature of having a goose on stage or the unexpected joy of seeing a six-month-old baby injects an extra level of excitement, both for us and for the audience. You mentioned the rhythm of the play. Has your background in musicals such as Hamilton, Something Rotten!, and Shrek proved helpful? I think it’s helpful in understanding the lilt and rhythm and cadence of the dialect. I have a good ear for the technical things that go into an accent. Going back to the symphony metaphor, a background in music helps you understand how to play in harmony with other people. I’m thinking of the harvest dinner in the play, when there are so many people sitting at a table making one cacophonous sound of joy and celebration. 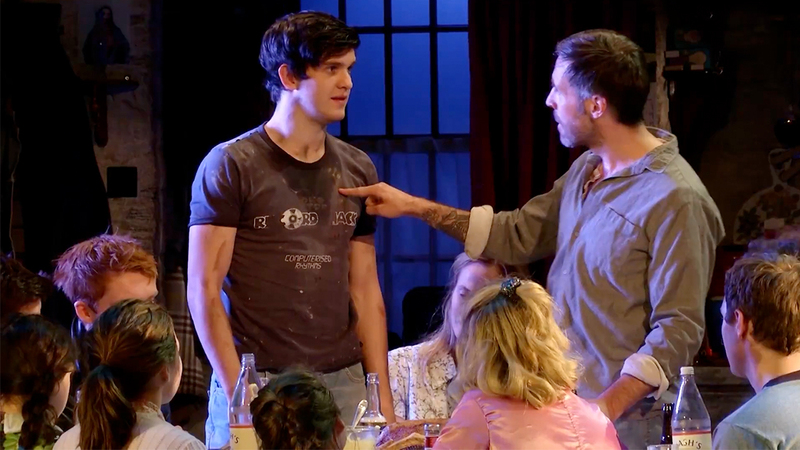 The Ferryman is a drama, but it’s also funny, fast-moving, and accessible. Absolutely. All of the characters are very quick-witted, intelligent, and full of heart and hope and love. Every play has a bit of heightened reality, but Jez gives us words that we would love to say in real life. I would argue that the Irish tend to be able to do that pretty readily. You’ve starred in Irish-set plays by Martin McDonagh and Conor McPherson. Have you checked out your own ancestry? I’m pretty darn Irish! The “James” is Welsh, but I come from O’Briens and Kellys and Cullotins, so I’m well spoken for. Kidding aside, you don’t have to be an expert on the Northern Ireland “troubles” of 1981 to enjoy the play. No. Jez gives you everything you need to know about what’s happening and why things are changing politically and becoming more dramatic. Quinn Carney’s past association with the Irish Republican Army is spelled out by the characters who represent the different parts of his past. It’s all baked into the play. 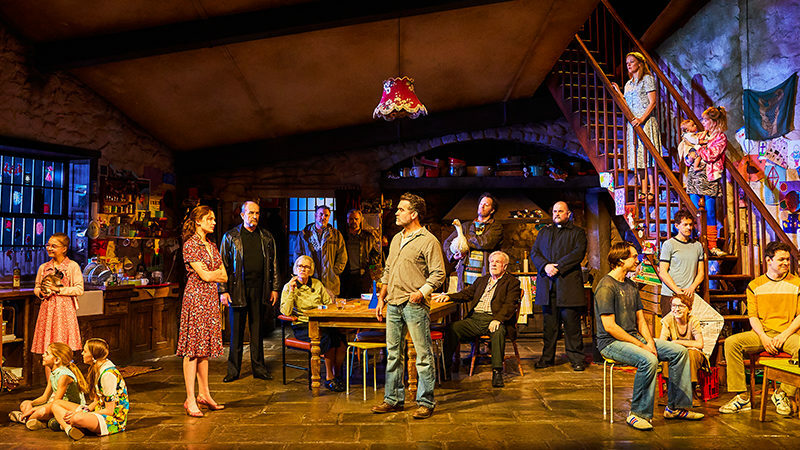 Would you agree that audiences are drawn into The Ferryman in a particularly deep way? Yes, and it’s thrilling that the people who are performing on stage and the people who are watching us are in communion. By that, I mean that the audience’s responses are audible, whether it’s gasps or inhalations of recognition or disbelief. There is an active participation that the actors can hear, and it’s incredibly moving to know that the 1,100 people in the room with us are rapt with attention. As for the ending, I’ve never heard intakes of breath like that in my life. What do theatergoers say to you after seeing the play? I’m amazed that there are so many repeat viewers. People want to know more about this family and the characters, and they say that every time they come back, they explore a different aspect of the story. I understand, because I was a fan of the play before I ever knew I would get to be in it. I can’t stress enough how exhilarated I am to be doing this. It’s everything I dreamed of when I started acting, and sometimes dreams come true.